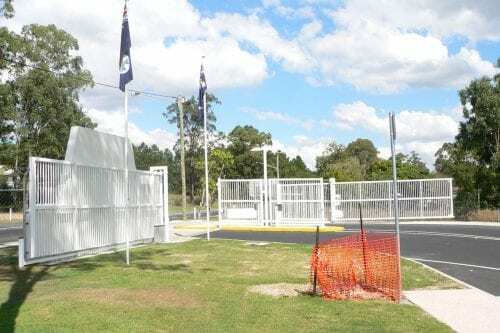 A close investigation of the latest building trends in Brisbane and Brisbane suburbs shows that aluminium fencing and automatic security gates are enjoying huge popularity. 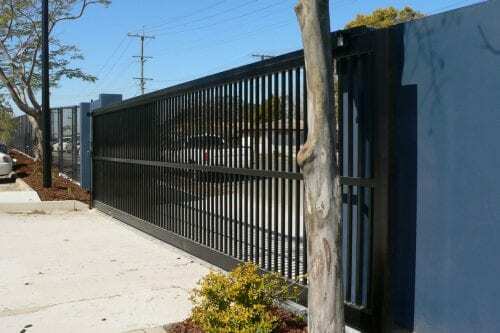 A key driving factor in the demand of aluminium fencing and automatic security gates is that aluminium fencing provides security without sacrificing style and fashion. Homeowners have become more security conscious and secure fencing is high on the priority list when choosing the right fencing for their home. Sadly, security planning has become necessary in response to increased security breaches to our home. Gone are the days that it was safe to leave the children’s bikes lying on the front lawn or the main reason for a fence was to keep children and animals in rather than keeping intruders out. Reality requires us to install strong, secure gates and fencing to our home. A great security solution is to install strong and durable aluminium fencing to provide an effective, yet stylish barrier to the more private areas of our property. 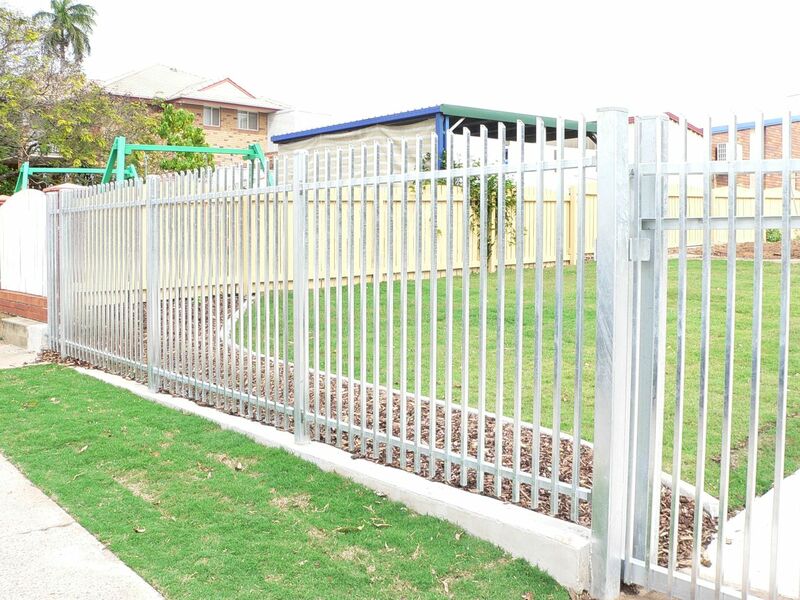 Aluminium fencing comes in a range of styles. 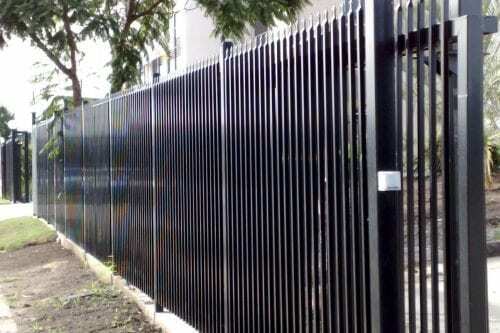 Aluminium slat fencing can be either with a gap or no gap. There are a couple of different schools of thought about which style is best for security. One view is that is better to leave some gaps so that neighbours can see in and you can see out – immediately becoming aware of any unwanted visitors or activity. The other viewpoint is that no gap aluminium fencing prevents prying eyes from seeing in while at the same time providing maximum privacy. 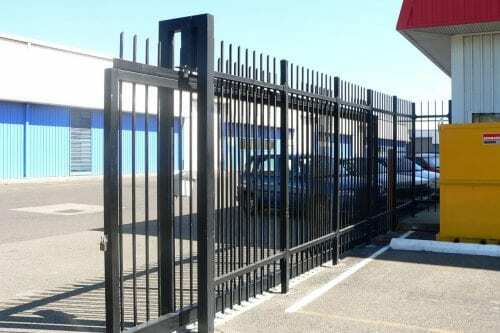 Both are valid security considerations and the choice of which type of security fencing is right for you will depend on your individual security requirements. An added level of security is to install an automated gate. 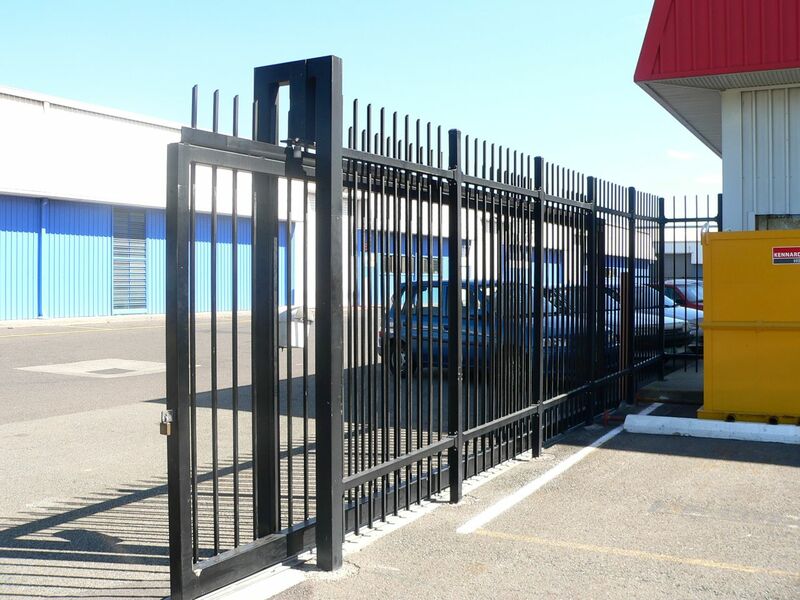 An automated gate means you don’t need to leave the security of your car while arriving or departing from your home. It also means unwelcome visitors cannot simply open the gate and walk in. You have a higher level of control over who comes in and goes out which is the way it should be. The good news is that you have a lot of choice when it comes to choosing stylish, secure aluminium fencing and automatic security gates. If a standard product does not meet your needs then you also have the option of having a custom made secure fencing system installed. The triple benefits of aluminium fencing, security, style and fashion, will ensure its popularity for many years to come and without a doubt, the peace of mind that comes from choosing aluminium security fencing and automatic gates will be well worth it! 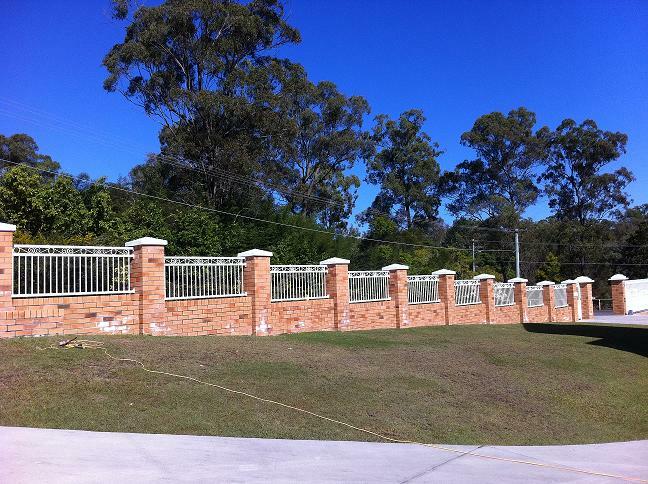 Singh Fabrications specialises in aluminium fencing in Brisbane and the surrounding suburbs. Singh Fabrications provides quality work at best prices. Get a free quote now. Call 07 3274 4866 or fill out the contact form below. 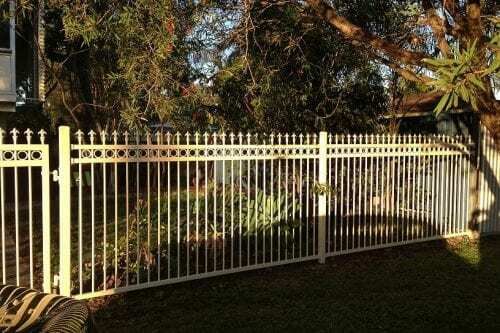 Take a drive around the suburbs in Brisbane and it soon becomes apparent that aluminium fencing is making a huge splash in Brisbane. 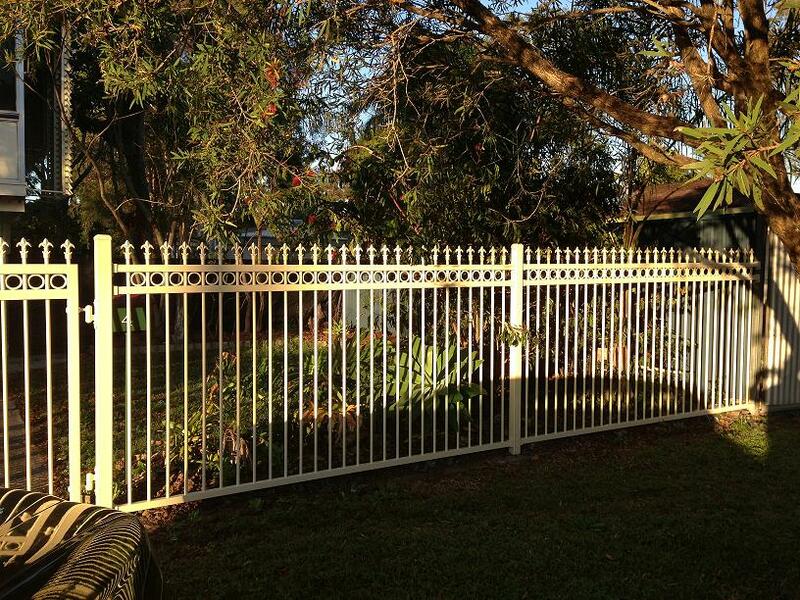 The most obvious use of aluminium fencing in Brisbane is on front garden fences. 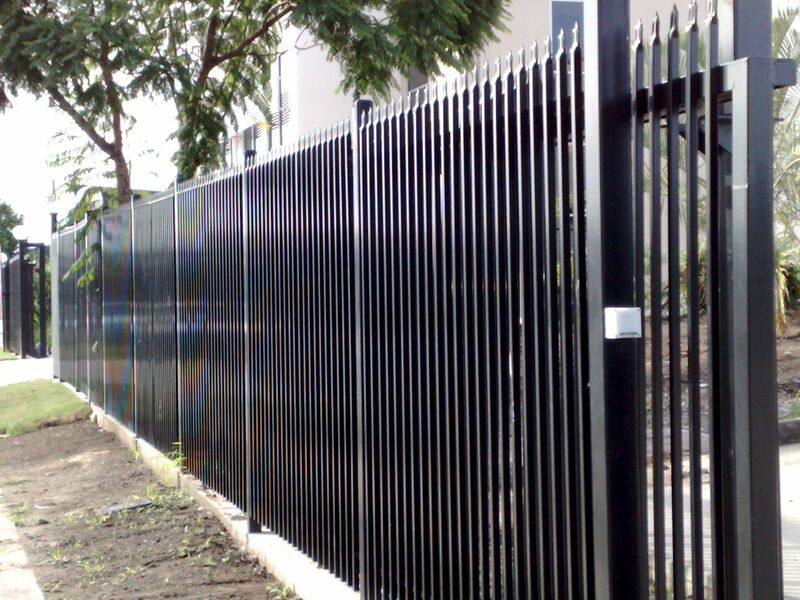 Aluminium fencing is popular because it is durable, strong, rust proof and low on maintenance. It is also fashionable as aluminium fencing is available in a wide range of colours and and can be powder coated to almost any colour you wish. 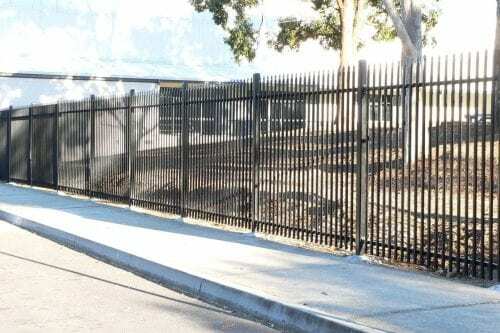 Aluminium fencing can be used as slat fencing to provide maximum privacy, allowing only a minimal amount of sight to anyone looking into a property. Once gardens are established along slat aluminium fencing, it is almost impossible to see through the fence into the property. Aluminium fencing can also be used in a different way for pool fencing. It is available in all sorts of heights, starting at the minimum 1200 millimetres. Once again aluminium fencing is popular for pools in Brisbane because it is rust proof and resistant to the harsh Brisbane climate. 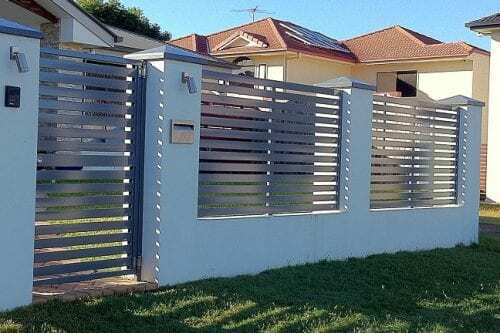 Brisbane home owners seem to be embracing aluminium fencing as a fashionable addition to their home. 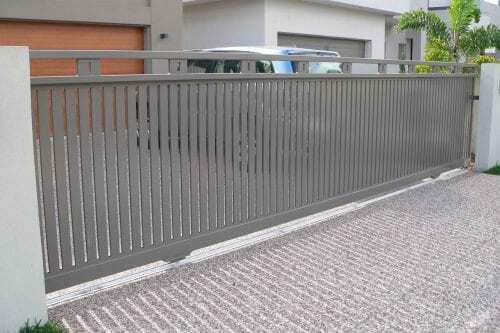 As aluminium fencing is available in all sorts of colours it can be installed in such a way that compliments the home. Part of the appeal is no doubt its low maintenance feature. 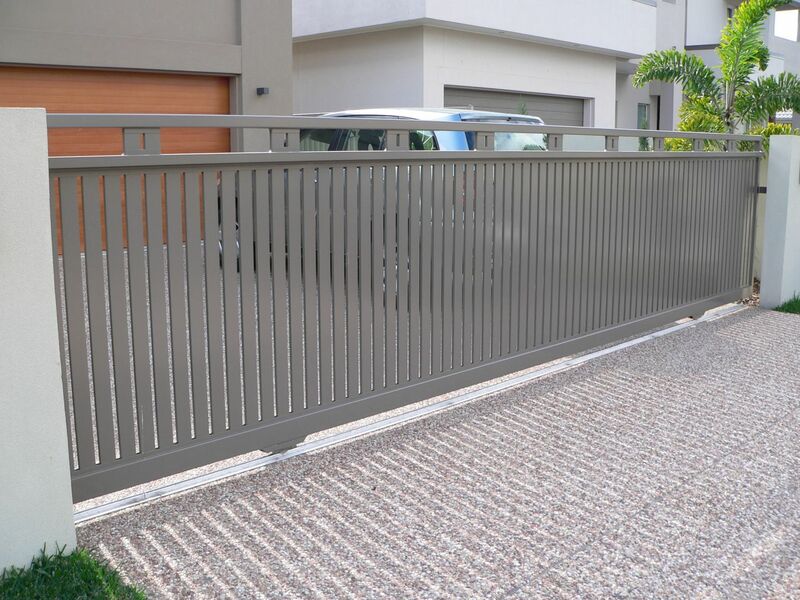 Often giving the look of a beautiful timber slat fence, aluminium fencing has the look and appeal of natural timber at first glance, without any of the maintenance that a timber fence would require. The look of the fence is limited only by your imagination. Installed in a horizontal fashion the fence gives a slat like appearance. 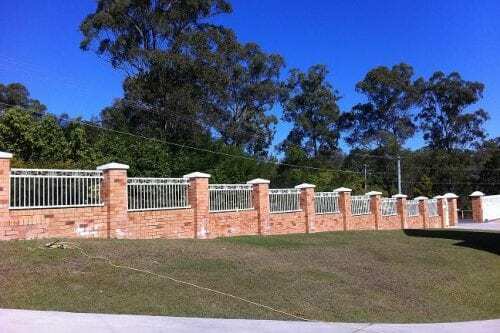 Installing the aluminium fencing in a vertical position gives a balustrade appearance which is especially popular when matching the fence design to period features on older Brisbane homes. The vertical design can be matched quite well to the Queenslander style homes. Aluminium fencing is also quite cost effective partly due to a competitive installation cost and partly due to the low maintenance aspect of aluminium fencing. 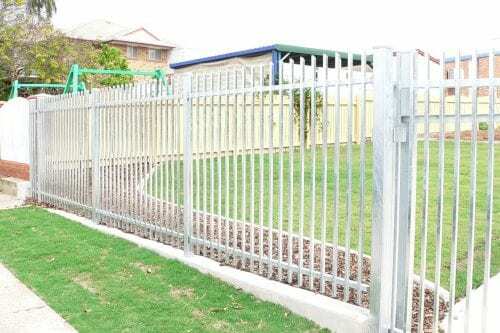 There is no doubt that Brisbane Home Owners will continue to use aluminium fencing for many years to come. 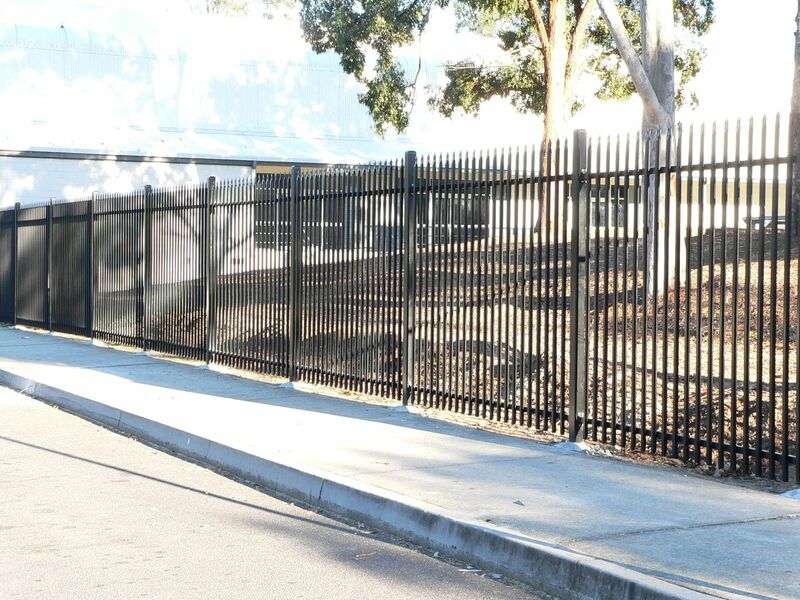 If you are considering erecting a new fence or replacing an old fence it is definitely worth checking out aluminium fencing providers in Brisbane to see if aluminium fencing could be the right product for your next project. 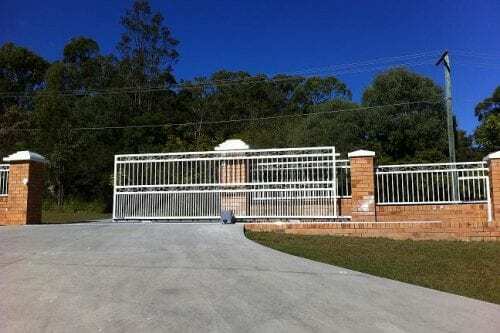 Singh Fabrications manufactures and supplies automatic gates in Brisbane and the surrounding suburbs. 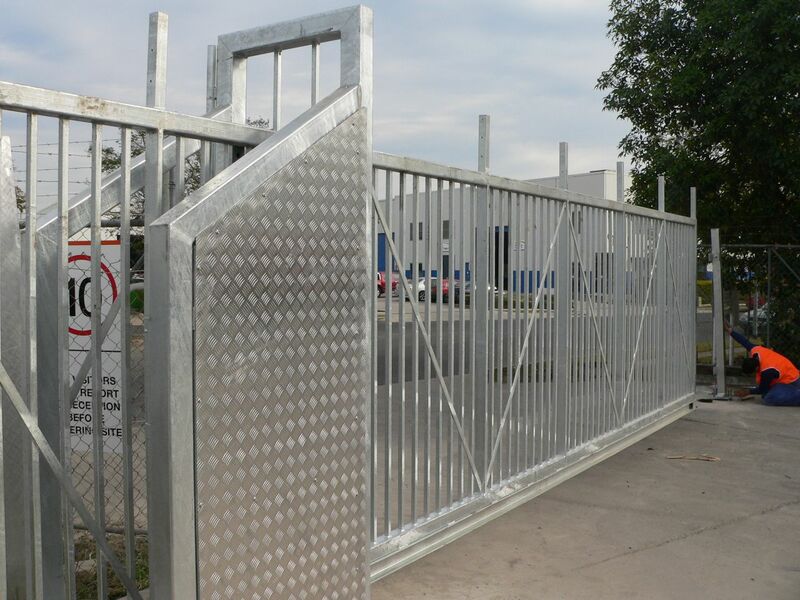 Singh Fabrications offers quality automatic gates at best prices. Get a free quote. Call 07 3274 4866 now or fill out the contact form below. A new trend seems to be emerging in Brisbane. New homeowners are installing automatic gates as a way of enhancing the security and privacy of their home. Traditional Queensland homes have been built in the Queenslander style and in the past haven’t included automatic gates. 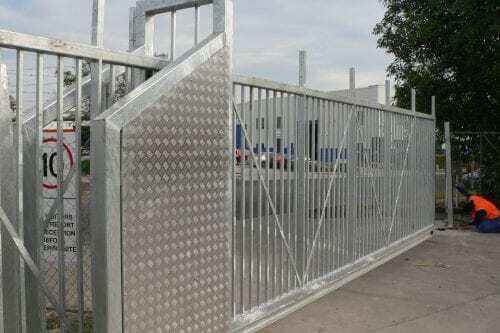 However with new builds taking on a more modern style, many Brisbane homeowners are adding automatic gates to their building plans. Not only do automatic gates add to the security and convenience of a home but they can also enhance privacy and provide a secure area for pets. 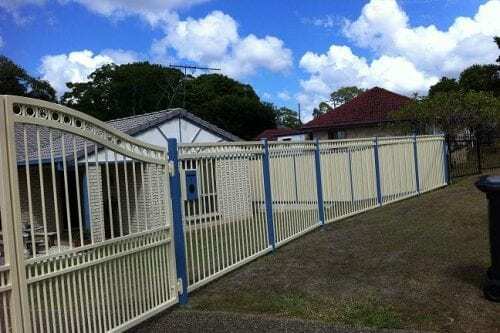 Brisbane homeowners however do not like to sacrifice style for security. When choosing their automatic gates, Brisbane homeowners like to choose a style that compliments the style of their building. 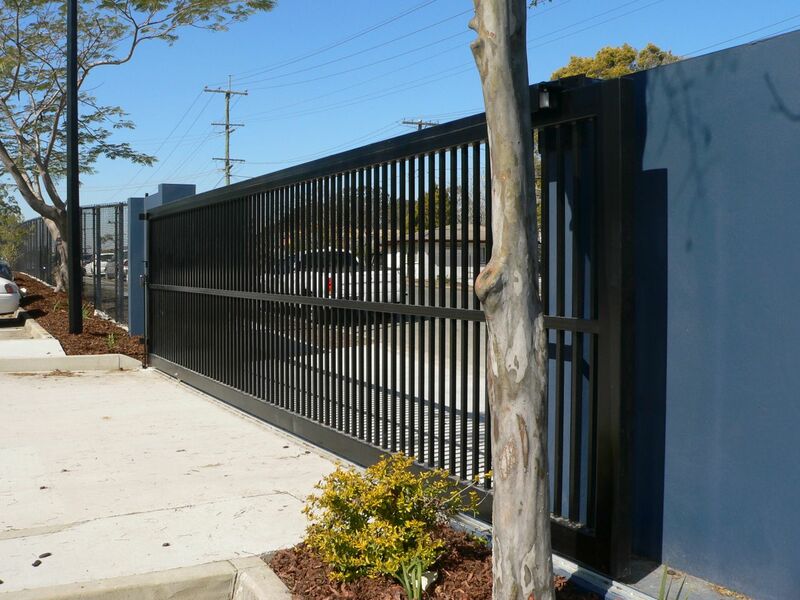 Brisbane automatic gates are available in all sorts of colours and designs making it easy to coordinate the look of their gate with the style of their home. There are actually quite a few features available on automatic gates for Brisbane home owners to choose from. This could include a gate that has a soft start and soft stop feature. It could also include a gate with safety reversing so if the automatic gate hits an object that shouldn’t be there, instead of continuing to open or close it automatically reverses. Automatic gates usually work in conjunction with remote controls that are carefully coded for maximum security. There is also the option of intercom and digit pads. For Brisbane homeowners wanting something a little different you can even get automatic gates with different coloured flashing lights. This is not necessarily a choice for everyone but it is nice to know the option exists. 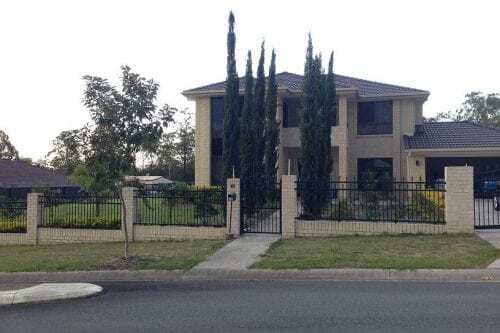 Security is probably the main reason that Brisbane homeowners choose automatic gates.Like homeowners all over the country, Brisbane homeowners like to feel safe and they like to know that their belongings are secure when they are not at home. Next on the popularity scale for most Brisbane homeowners would be convenience. When arriving home at the end of a working day there is nothing more annoying than having to get out of the car to open the gate, especially if it is raining. This is where automatic gates really shine. 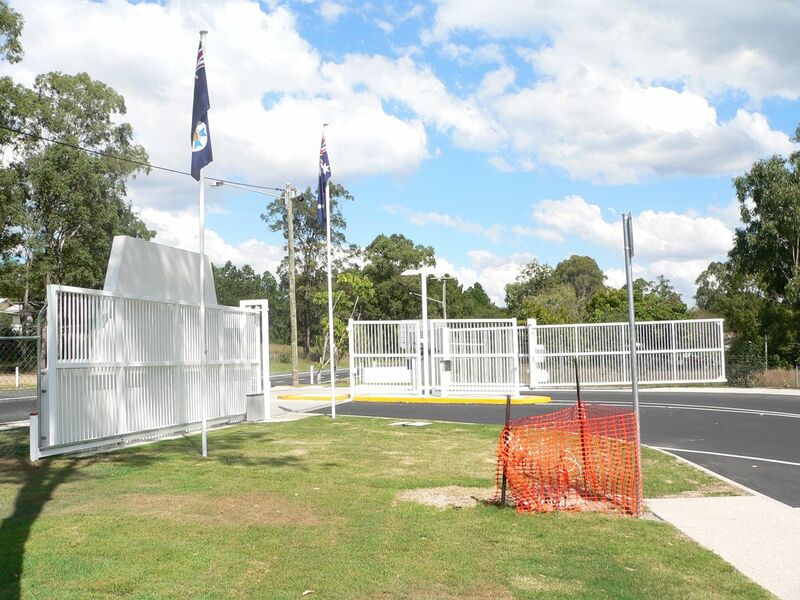 Another possible reason that automatic gates are gaining popularity in Brisbane is the ageing population. As our population gets older Brisbane homeowners are becoming less agile. Automatic gates save our ageing population time and unnecessary discomfort as they allow the driver easier access to their property. Keeping pets secure is another popular reason for installing automatic gates on a property. Gates can be either see through or totally covered in.The more popular trend seems to be choosing gates that are transparent, allowing people and pets to look in an out and see what is happening. 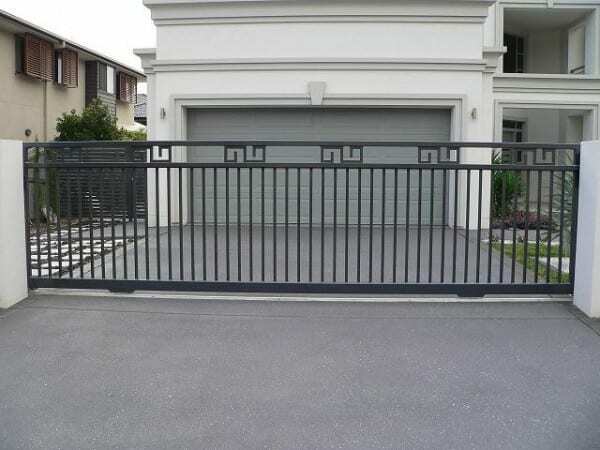 The important thing to remember here is there are a wide range of choices available to Brisbane homeowners when choosing their automatic gates. Brisbane homeowners can choose from a range of styles and colours to ensure their security gate enhances both their home and lifestyle. 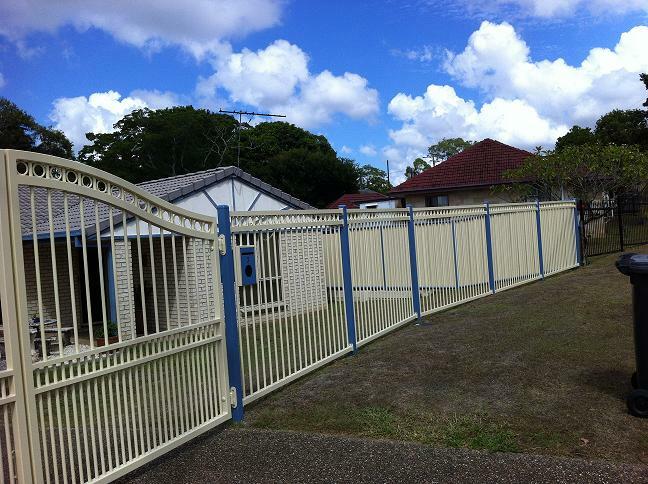 Brisbane Home Owners can also choose a range of features to even further enhance their new automatic gate experience. With the continuing boom of new homes and renovations there is no doubt that automatic gates will continue to gain popularity in Brisbane.